After the introduction of the new Penryn processors, also Apple updates its MacBook and MacBook Pro series with these new 45nm Core 2 Duo processors. This article covers how the new top MacBook Pro notebook with 2.5 GHz processors differs from its predecessor. The case of the MacBook Pro stayed the same. Workmanship and stability are still excellent. 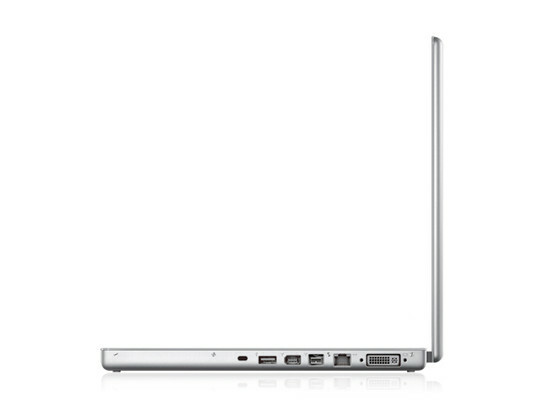 Only the MacBook Air does even better. So, we refer to the Review of the predecessor 2.2 GHz notebook regarding this aspect. Intensively using the predecessor notebook for half a year we still cannot complain about its case. Also the moderate interface equipment was not enhanced when the notebook was upgraded with the new Penryn processor, but remained identical to the interface equipment of the beim MacBook Pro 2.2 / 2.4). Especially a third USB port would be most demanded in practice. Also the MacBook Pro comes now, like the MacBook Air, without MacRemote remote control, which costs at the time of writing 19 Euro in Apples on-line store). At first, it becomes apparent that the keyboard was modified. 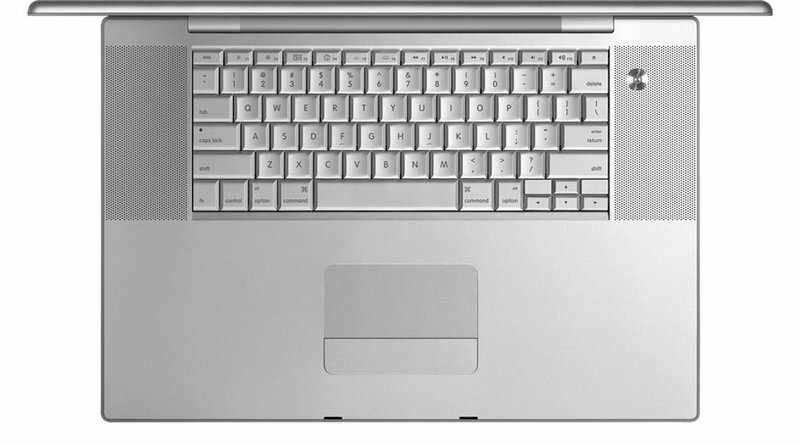 Apple fitted the key labels and the layout to their current standard, which was introduced by the up-to-date iMac and MacBook Air. The functions of the hot keys were changed. E.g., F3 and F4 now launch the Exposé and the Dashboard. 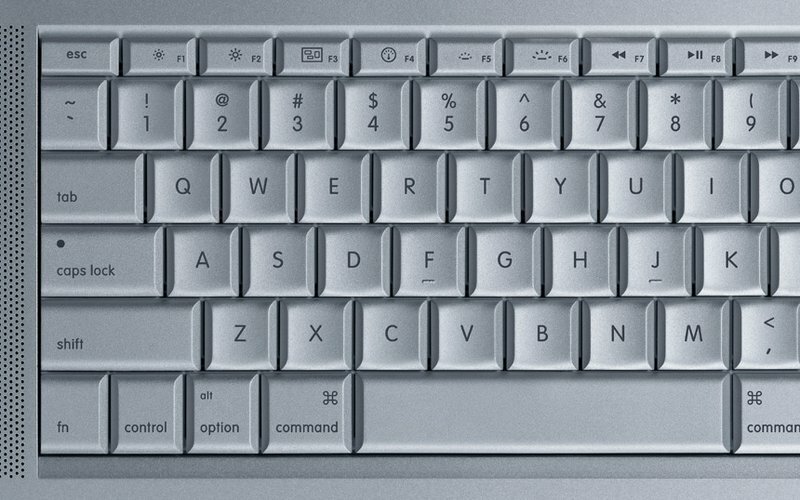 The second enter key (we never really knew what it should be good for) was replaced by a second Alt key and the Apple key was renamed to 'cmd'. Despite these changes the layout still needs some time to get used to, if you migrate from a Windows PC. The way the keyboard feels to the touch remained the same. The feedback is still soft and only slightly sluggish. 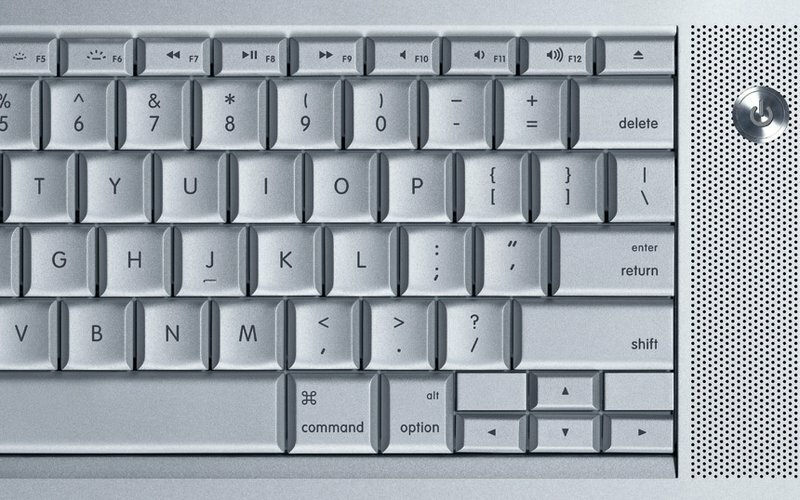 Compared to the new keyboard of the MacBook Air, which is based on the MacBook's, we would prefer the one of the MacBook Air. However, this depends on your preferences. 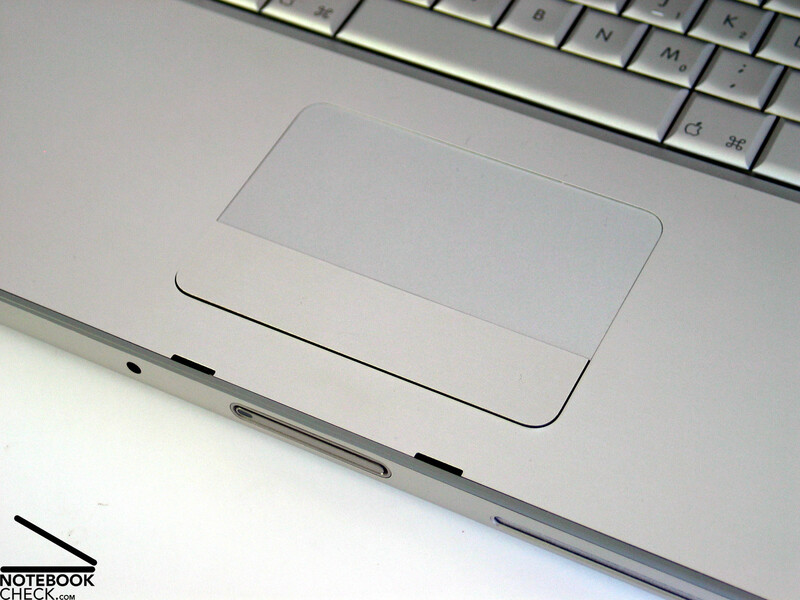 Secondly, also the TrackPad was obviously modified. 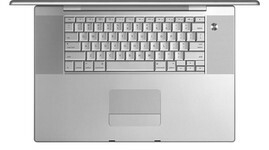 Alike the one of the MacBook Air, also this TrackPad is driven by a Broadcom chip, which enables enhanced multitouch inputs. So, it's now also possible to scroll with three fingers, rotate and zoom pictures user-friendly with two fingers, but it's also still possible to scroll with two fingers as hitherto. These options are well supported by Mac OS X, but, there are still opportunities for further innovations available. The clicking noise of the single TrackPad button was toned down. So, using it got even more user-friendly, although we still miss a second touch pad button - in spite of Mac OS X. According to Apple the display was not changed. However, due to a clearly lower black value of 0.21 cd/m² (compare to 0.6 cd/m² measured for the former 2.2 GHz exemplar) the contrast ratio is also clearly better. The maximum contrast of the reviewed notebook of 1441:1 is excellent (compared to the good 500:1 calculated for the predecessor). On the one hand we can exclude that this is a measurement error, because we repeated the measurement a couple of times. On the other hand Notebookjournal, our competitor, also measured a black value similar to the one of the former model for the smaller 2.4 GHz model. So, we won't expect that all displays of this series have such a good contrast ratio. The brightness of 269 cd/m² measured in the centre of the screen, is very similar to the 280 cd/m2 of the predecessor and also the viewing angles are similar. Again the MacBook Pro is absolutely fit for outdoor usage. The biggest difference to the predecessor notebook is, that this notebook is equipped with 45nm Core 2 Duo CPUs (codename Penryn). Because the Level 2 cache was enhanced from 4 to 6 MB in the top exemplar and some smaller things were improved at the core, the performance increases by 5% compared to the predecessor with the same clock rate. Further details about these performance gain are available in our Penryn Comparison test. So, the performance increase of the new MacBook Pro is not high, however, the predecessor was one of the fastest notebooks of its category. The smaller MacBook Pro is now equipped with a 2.4 GHz Core 2 Duo processor, but only with 3 MB L2 Cache. So, its performance is about as high as the one of the former 2.2 GHz notebook, but, it demands less energy. The video card is also equipped with double the memory than the predecessor notebooks (256MB for the 2.4 GHz notebook, 512 MB for the 2.5 GHz notebook) and should now also be sufficient for current games. It reaches 8000 3DMark05 points and is therewith about 10% faster than the predecessor 2.4 GHz top notebook . Due to GDDR3 memory this is a very good result (especially considering the weight of this notebook) and it is therewith absolutely fit for games (however, modern DirectX 10 games cannot be played at full resolution). Due to the same cooling system as the former model, the noise emissions of the current Macbook Pro model remains unchanged.Long-term review Apple MacBook Pro 2.2 GHz Notebook with Mac OS X But, the Penryn processors demands less energy, so, the two built-in fans need to speed up clearly later and the notebook stays silent for a longer time. So, this is once again one of the quietest notebooks (without heavy load) of its category (playable video card, fast processor). If the load is heavy the fans get still rather loud and the frequency of their noise is rather annoying - though you won't really recognize this when playing games. 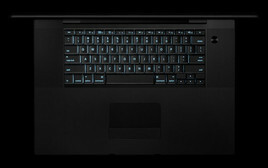 This laptop produces more heat than its competitors because the aluminum case is part of the cooling system. At the bottom side a maximum of up to 50°C is possible, if the notebook is run for a longer time under full load. But, in average, under usual load and conditions the case gets just hand-hot. (±) The maximum temperature on the upper side is 40.2 °C / 104 F, compared to the average of 36.5 °C / 98 F, ranging from 21.1 to 71 °C for the class Multimedia. The sound system including the speakers, also remains unchanged. Their sound is still satisfying with weaknesses at maximum volume and weak basses. The less energy-demanding processor increases the runtime by 7-13%. This is definitely considerable, because only the processor was exchanged. The promised runtime of 5 hours reaches the MacBook Pro, if you e.g., browse the Internet (we measured actually a little more in our test). Considering also the low weight and the compact size of this 15" notebook, its mobility is excellent. The most important aspect of the upgrade to a Penryn processor is the enhanced battery runtime. Considering the small battery above 5 hours runtime when browsing the Internet under MacOs is worth mentioning. Furthermore, also the performance was improved by about 5-10%, depending on the application. However, also doubling the video memory improved the performance. Regarding input devices we most of all appreciate the quiet TrackPad button. Loud clicking noises are finally over. Although they are not that easy to understand than the one of the iPhone, the new multi-touch functionality still convinces. To summarize, the MacBook Pro is still an expensive multimedia notebook with low weight, first-class workmanship, nice design, low noise emissions, good performance, and good display quality. So, its definitely worth the money. However, upgrading the warranty to 3 years, which is especially recommended, if you buy such an expensive notebook, is still expensive. 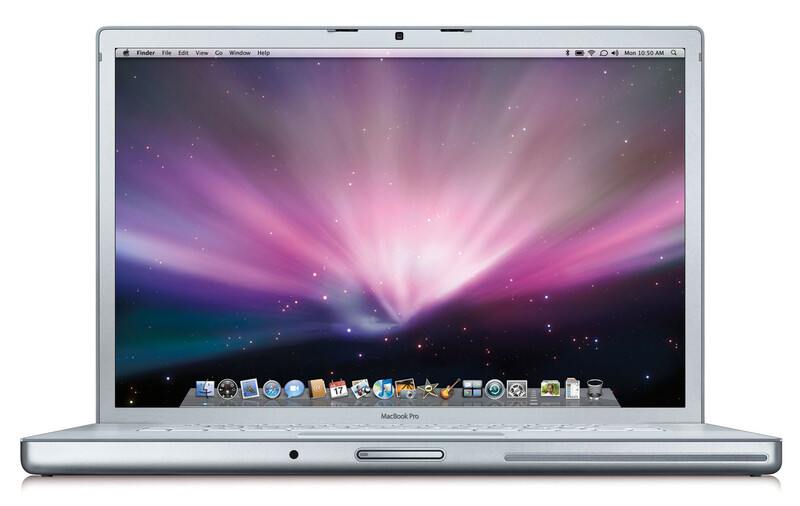 Those who use the old version of the MacBook Pro do not necessarily need to upgrade. 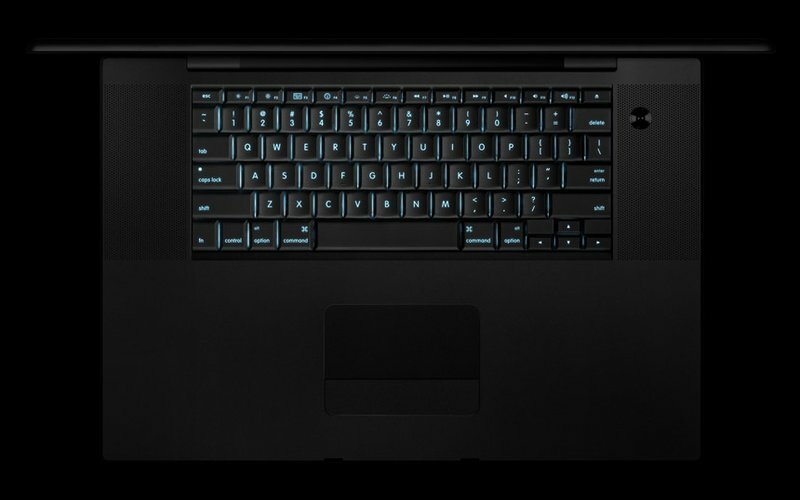 If you want to use it as Windows notebook, it needs to be mentioned that the operating system is not perfectly adapted, so, the battery runtime is low, the touch pad driver is worse, and the labels on the keys to not exactly match. Therefore, it rates worse as Windows notebook.